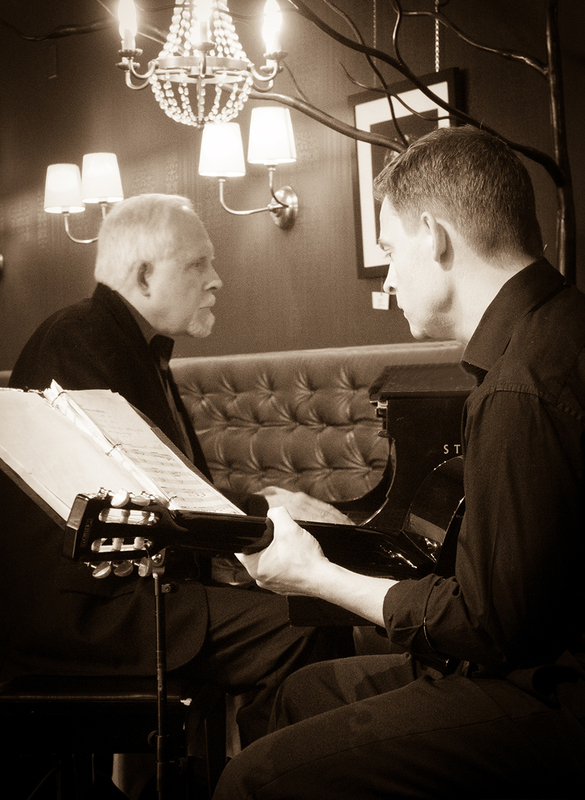 Piano player, Bob McFee, and guitarist, David Cowell, have been playing music together since 2013. Their music is an acoustic mix of older jazz, swing, Gypsy jazz, bossa nova and a little blues. Antonio Carlos Jobim, Django Reinhardt are obvious influences. The music often has the feel of the 20s, 30s, 40s but with a contemporary flair. This is jazz that is accessible to the general public. You don’t have to be a jazz aficionado to enjoy the music of Bob McFee and David Cowell.